I am (almost) five feet tall. I enjoy sewing dresses for little girls. I am an award winning baton twirler. I am a horrible singer. I am learning to play the guitar. I love brownies, flowers, and the color purple. I’ve been hit by a pickup truck while crossing the street. I am deaf in my right ear. I do most of my reading in the bathtub. I was born with a hole in my heart. I have Tourette syndrome, OCD, and SPD. I have three children (ages 15, 11, and 7). I have 3 sisters and 4 brothers. Short—Ellie Terry writes heartfelt contemporary fiction for middle-grade readers. Her middle-grade debut, a verse novel titled FORGET ME NOT, was published March 14, 2017 by Feiwel & Friends, an imprint of Macmillan. She lives in southern Utah with her husband, three kids, two zebra finches, and a Russian tortoise. Long—Ellie Terry has been writing poems and stories since she was ten years old. Whether in a notebook while sitting high up in an aspen tree, on her father’s typewriter at the kitchen table, or in one of her many journals while taking bubble baths, she has always loved working with words. 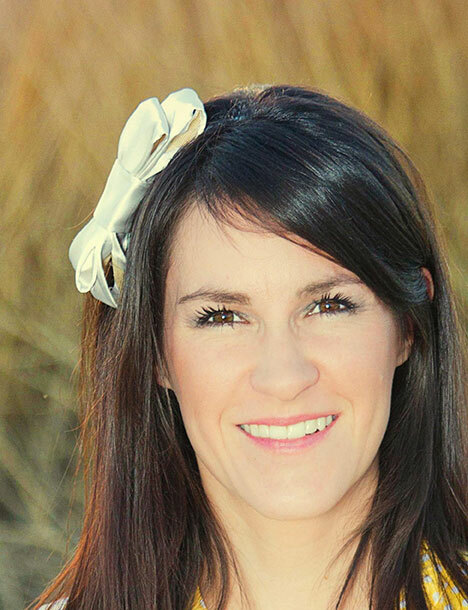 Her poetry has won several state awards and has appeared in various magazines for children. In 2014 she was a recipient of the Nikki Grimes Poetic Techniques Merit Scholarship. 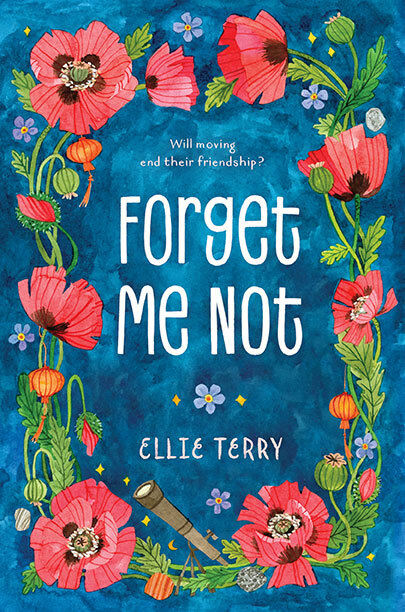 Her middle-grade debut novel FORGET ME NOT–a story in which a girl attempts to hide her Tourette syndrome while trying to convince her mother not to move them yet again, especially after making friends with the boy next door–was published March 14, 2017 by Feiwel & Friends, an imprint of Macmillan Children’s Publishing Group. Ellie grew up in small towns in South Dakota, Arizona, and Nevada and currently lives in southern Utah in a house the color of vanilla bean ice cream with her husband, three children, two zebra finches, and a Russian tortoise. Right Click and select “save as” to download image. long enough to make a best friend . 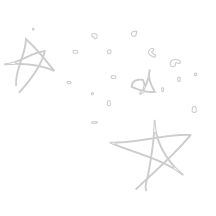 . .
Astronomy-loving Calliope June has Tourette syndrome, so she sometimes makes faces or noises that she doesn’t mean to make. When she and her mother move yet again, she tries to hide her TS. But it isn’t long before the kids at her new school realize she’s different. Only Calli’s neighbor, who is also the popular student body president, sees her as she truly is—an interesting person and a good friend. But is he brave enough to take their friendship public? As Calli navigates school, she must also face her mother’s new relationship and the fact that they might be moving—again—just as she starts to make friends and finally accept her differences.